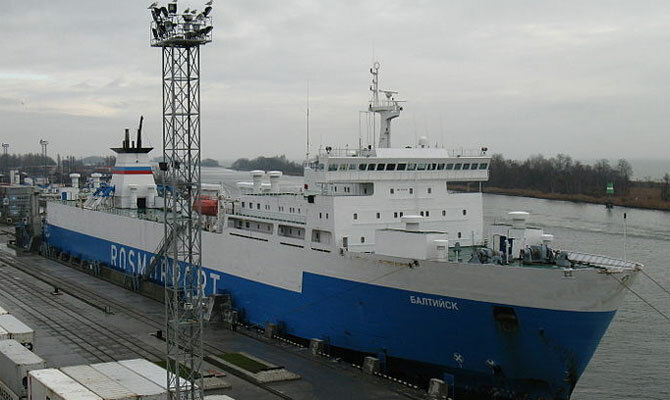 Rail ferry BALTIYSK was detained in Ust-Luga, Russia, Baltic sea, by Port Authorities for outstanding crew wages debt on Jun 9, according to Russian media. Operator of ferry, TRANS-EXIM Ltd, was warned twice earlier, but crew wasn’t paid, nevertheless. Debt total sum wasn’t revealed. Probably, complicated owner/operator system is caused by the fact, that Black Sea Ferry & Invest Ltd is or was engaged in illegal Crimean ferries activities. Ferry PETERSBURG was deployed in Crimea in years 2014-2015, after Crimea annexation by Russia. Both ships, BALTIYSK and PETERSBURG, are or were deployed on Baltiysk (Kaliningrad Region) – Ust-Luga (S-Petersburg) rail ferry Service. Rail ro-ro passenger ship BALTIYSK, IMO 8318130, GT 20126, built 1984, flag Russia, operator TRANS-EXIM Ltd, Kaliningrad. Capacity 106 rail cars or 350 vehicles.